With 12 years of history behind it Bilbao BBK Live has been there and done it several times over. It’s a festival that brings in the big guns, and the slightly smaller guns, to whip the people of Bilbao (and further afield) into a frenzy. This year’s big hitters included The Killers, Depeche Mode, Die Antwoord, Justice and Primal Scream. As well as this selection of musical royalty, Bilbao BBK Live also curated lineups for the more alternative festivalgoer with acts like Austra, Idles, Cabbage, DJ Tennis, Andrew Weatherall and a variety of Spanish acts. A huge three dayer with lots on offer for everyone… Gigwise spent a few days taking in the spectacle at the festival, while also investigating what the Spanish city itself has to offer, here’s our reporter Marcus Barnes with the lowdown. 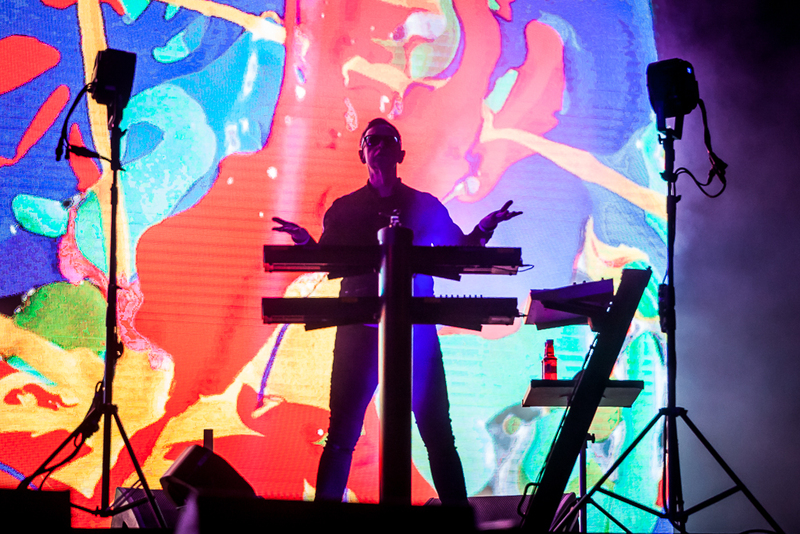 Dave Gahan dominated the huge stage during Depeche Mode’s headline performance on the very first night of Bilbao BBK Live and it was one of the highlights of the entire festival. The group are legendary, electronic music pioneers with a diverse back catalogue and a collection of contemporary songs that veer from ambient to straight up rock. The first half of the show was most made up of tracks from their recent album, Spirit while the addition of a few of their classic hits towards the end was welcomed with a huge response from the crowd. Gahan was on tremendous form, spinning around the stage like someone half his age with all the charisma, potency and delivery of a seasoned pro. Magnificent. Bobby Gillespie is 55 years old and, like Dave Gahan of Depeche Mode (who happens to be the same age), could easily give any young buck a run for their money when it comes to stage presence and delivery. Primal Scream were an absolute treat for everybody who flocked to see them following Two Door Cinema Club’s appearance on the main stage nearby. 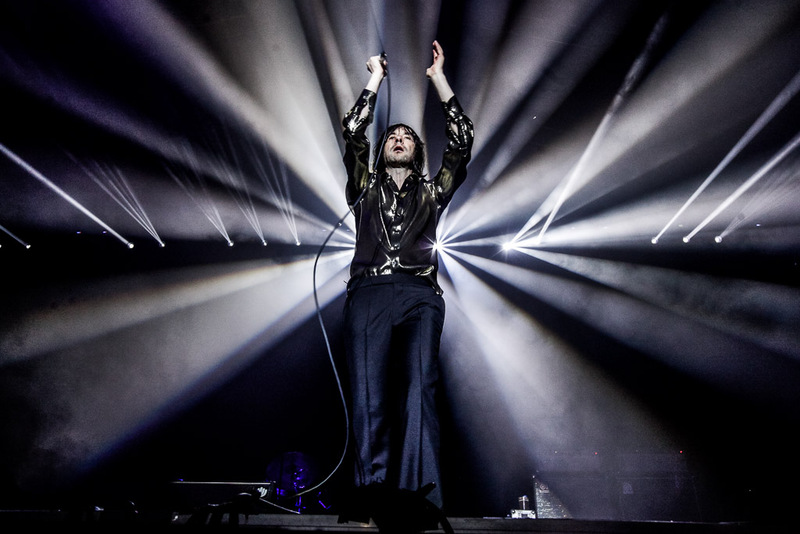 From the shimmering gold shirt he wore to his unfaltering confidence and, of course, Primal Scream’s locker full of great songs it was a strong performance. It was made all the better by a heavy deluge which had started before the band even came on stage. It rains a lot in Bilbao thanks to its proximity to the sea and its mountainous terrain, and on this particular night the heavens well and truly opened. The Spanish crowd dug their heels in though, and remained staunch in their support of Bobby and the gang despite a relentless downpour. A lot of people in the crowd had nothing more than a thin top on or a vest, yet they powered through such was the draw of the legendary Scottish band. 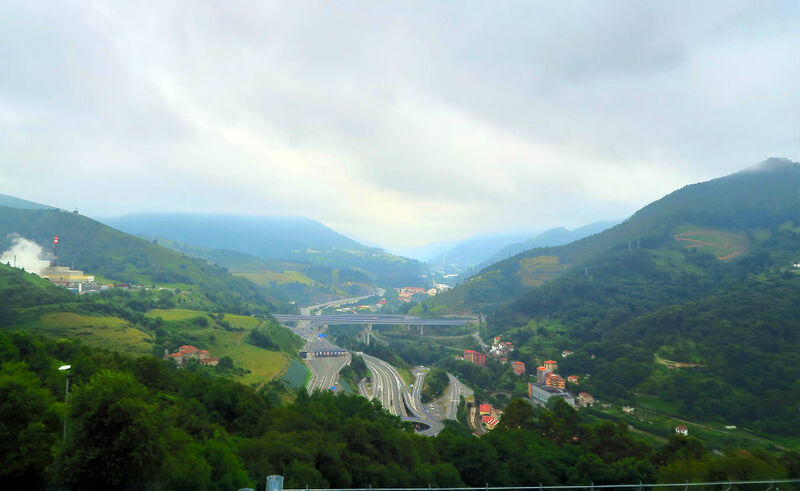 Bilbao has the largest Basque population in the autonomous Basque Country region and it was fascinating to learn more about the history. For example, Basque names and language were banned by the dictator Francisco Franco for almost four decades. This meant that anyone who was Basque had to adopt a Spanish name and there were grave punishments for speaking the language. It was only in 1974 when Franco’s reign came to an end that they could revive their culture. In 2011 the separatist organisation ETA Euskadi Ta Askatasuna (Basque Homeland and Liberty) announced a definitive end to their campaign which lasted from 1959 until their ceasefire in 2010. Their fight against the Spanish state has been described by some as Europe’s longest war. Basque people have their own language, which has developed entirely autonomously, without an influence from any other language. Until today around 300 people remain in prison due to alleged links with ETA and/or Basque terrorist groups many of whom have been jailed without trial. 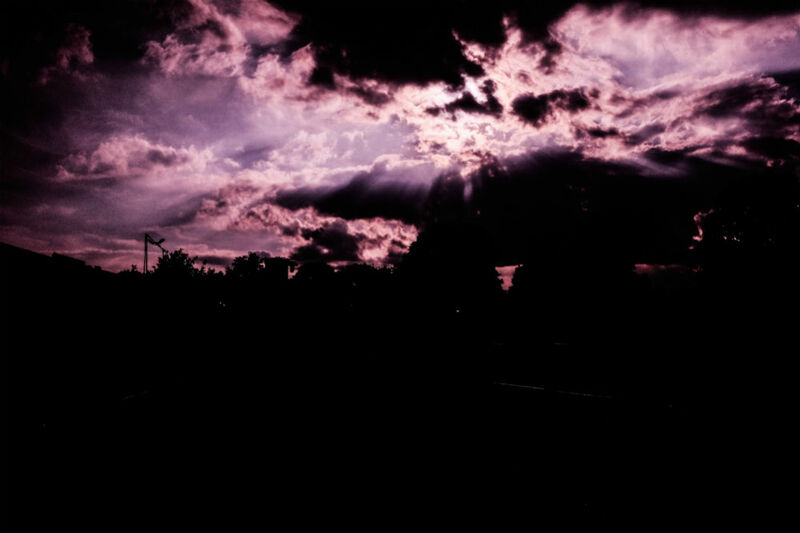 Most people dislike the rain it’s true. However when you’re in Bilbao, just like the UK, it’s expected that it will appear at some point it’s just a case of ‘when’ and not ‘if’. So it’s then up to you how you deal with the downfall when it comes and it didn’t just rain on the last night, it POURED big time for ages. This kind of weather really separates the diehards from the fairweather festival lovers and it seemed as though most of the Bilbao BBK gang were hard to the core. Ponchos came out in abundance while some of those who’d only turned up in a T-shirt and shorts just stuck it out and carried on enjoying themselves despite being soaked to the skin. As you might find at Glastonbury or any other British festival, the resilience of the crowd helped to buoy the atmosphere and the deluge that occurred on the last night only made it all the more enjoyable. Weather – 0, Bilbao BBK Live – 1! One of the best dressed DJs out there, and a legend in his own lifetime, Andrew Weatherall was in charge of the turntables at the Basoa Stage right after his mates from Primal Scream. In fact, Bobby dedicated ‘Loaded’ to the man who helped produce their legendary ‘Screamadelica’ LP. So off we trudged (via Die Antwoord on the main stage) to Basoa and Weatherall’s set was one of the best of the whole three days. Full of driving analogue basslines, flecks of acid and one totally mesmerising rhythm after another. Even then thick muddy ground couldn’t stop the crowd for bopping around constantly during his groovy, psychedelic technoid selections. Weatherall’s legendary status is well-earned, there is no one else out there like him and he rocked the Basoa Stage rather nonchalantly on the festival’s final night. Bacalao, or cod to the English speakers out there, is a prized local fish. When the local football team, Athletic Club, score a goal the commentator will scream "Bacalao! Bacalao! Bacalao! Bacalao!" repeatedly. The reason the fish is so highly valued is explained by a legend that claims a fish merchant put in an order for ’20 o 22 bacalao’ (o being Spanish for ‘or’). However the distributor misread the order and sent 20,022 cod. Fortunately it was just before the siege of Bilbao which occurred during the Third Carlist War in 1876. 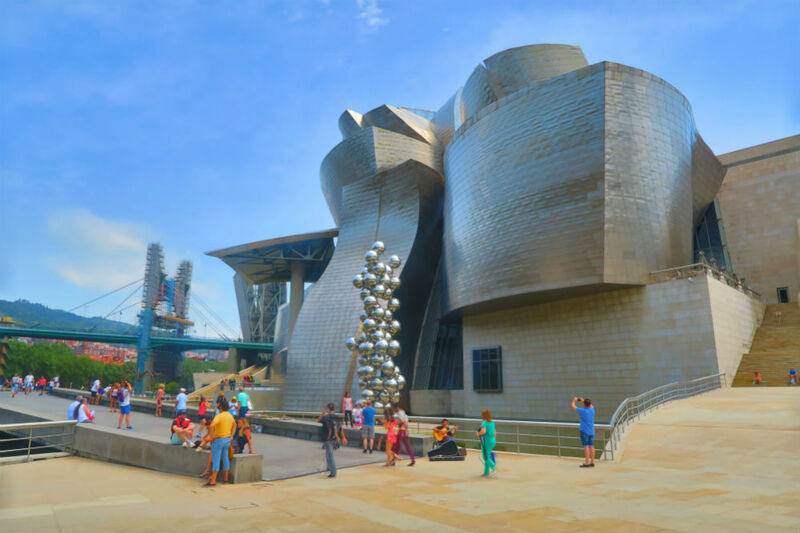 Bilbao was on lockdown but there was a plentiful supply of salted cod, tons of recipes were devised and you’ll find an extensive variety of cod options on the menu at most restaurants in Bilbao. BACALAO! Thought it’s only been in operation for a couple of years the Basoa Stage was heaving every night with lineups that included some of the biggest names on the more ‘underground’ side of things; The Black Madonna, Dixon, Job Jobse, DJ Tennis, Motor City Drum Ensemble… it was a well balanced, expertly curated stage with a great location. Basoa is Basque for forest and the woodland enclosure felt ideal for the 4x4 beats, heavy basslines and synth lines that were being delivered by all the selectors on the bill. 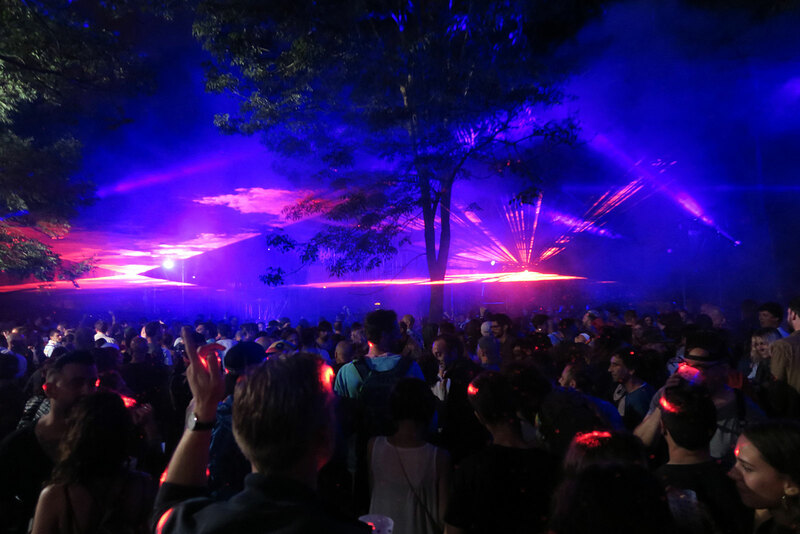 Special mention has to go to the production too, the amazing lasers, lighting and sound system were intrinsic to the enjoyment factor at the Basoa Stage and Andrew Weatherall’s set, as I’ve already mentioned, was absolutely tip top. Bilbao’s own version of tapas is undeniably one of its greatest peculiarities. Pintxos can be found at most bars around town, whether they’re ‘posh’ or not. In fact, some of the very best pintxos can be found in the formerly quite rough (now being gentrified) area of San Francisco. They range from small baguette sandwiches with anything from local ham or chorizo in them to chicken bites and tuna, anchovy and chilli on bread. The most authentic pintxos bars will have discarded tissue and paper strewn all over the floor as it’s traditional to throw your food wrapper on the floor when you’re finished – the bars with the most paper on their floor are recognised as the best ones in town. Another lovely little quirk is the fact that you will be left to do a bar crawl by most landlords, without paying until the end of the day. You’re trusted to keep track of what you’ve had, tally it up and then tell the landlord when it’s time to pay up. Amazing. Bilbao BBK takes place all the way up on a hill that overlooks the city, which means there is a tremendous view once you’re up there. In fact, views are a common feature at Bilbao BBK Live – while it may not have the heavy art focus of events like Burning Man or the production levels of Secret Garden Party, it still has a compelling aesthetic style. From the vista you get when you get to the top of the newly added tower, to the panorama you see when you’re in the backstage area (for us lucky journos anyway). Then there’s the sheer imposing magnitude of the main stage which dwarfs most of those who appear on it, apart from Dave Gahan who dominated it like a boss. Not forgetting the amusing imagery that is projected on to the side of the Starman Stage including weird cat animations. And, as already mentioned, the lasers and lighting in the Basoa are also a feast for the eyes, tantalising your retinas with their delectable digital dance. Like many of the world’s cities Bilbao is experiencing the growing tide of gentrification, or social cleansing as some people would view it. San Francisco was once a playground for sailors when the city’s port was a bustling epicentre of trade and industry and wherever the transient seafairers laid their hat, a world of vice also followed. San Fran was a hotbed of drugs and prostitution up until very recently. It was a rough part of town which most people who found intimidating and never dared to visit. Of course, the bad reputation was only a tiny part of its story. 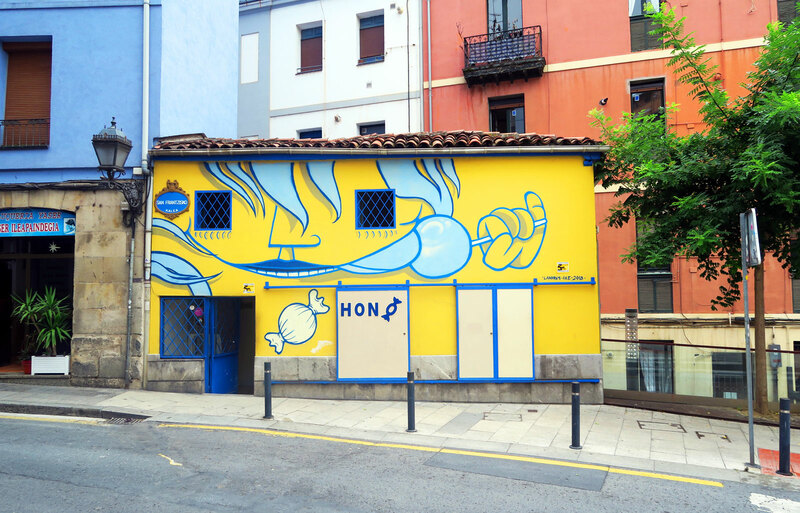 Over the last five years though it’s been going through a big change; artists have moved in, ‘cool’ new bars and eateries have opened up and the power of street art has been utilised to transform decaying buildings into desirable properties. People who’ve lived there for years are being moved out. It’s sad but worth a visit to experience San Francisco before the local culture is completely vanquished. You can still get a feel for how it is there, a large north African population, along with South American, means there’s a strong ethnic presence and there are lots of yellow flags hanging from balconies with the message ‘Refugees Welcome’. Hailing from Andalucia, Dellafuente is a powerhouse rapper who is currently diversifying his sound, moving away from the trap influences he has become known for and stepping out of his comfort zone a little. Teaming up with his partner in crime, Maka, Dellafuente delivered a bouncing performance, full of energy and great vibes throughout. From trap to reggaeton and multitude of styles, including Caribbean bachata and hints of flamenco even. It was a killer show and one which demonstrated how important it is to have artists who rep music that’s a step away from the pop and rock of the main stage. The Matusalem Stage featured lots of lesser-known acts who all seemed to attract a big crowd, proving it’s worth and giving the artists a big platform to share their music to fans new and old.